Occasional natural hybrid of Butia and Syagrus romanzoffiana which is also cultivated through hand pollination. the cold tolerance for this tree has been reported to sustain no damage down to 15 degrees and will probably tolerate even colder temps as close to 10 degrees F depending on the genetics of the parent trees. This F-1 hybrid produces NO viable seed. This has also been back-crossed with Syagrus to produce the cultivar known as var. nabbonandii, named after Paul Nabonnand, a French horticulturist who first reported this hybrid at the beginning of the 20th century. This is a rare and coveted Palm. 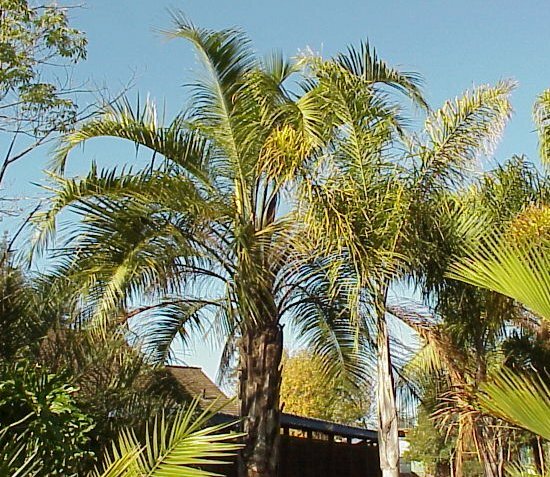 This is a palm that has been extremely hard to find over the years, and it grows just about anywhere in Northern Calif. For those who wish to purchase this palms, they should be warned that it needs plenty of room to grow and is quite variable. It also does best in full sun, but will take some shade. 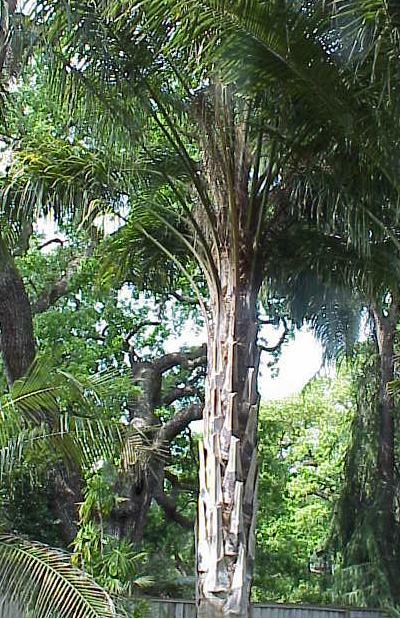 It is not as hardy as Butia, but is considerably hardier than Syagrus.